One of the best ways to improve your skills as a content marketer is to learn from the successes and failures of other marketers. And as we near the end of 2017, many marketers are reflecting on what has (and hasn’t) worked in the past year and looking to what this means for content goals and plans for the coming year. It doesn’t matter if you are a team of one or a team of one hundred, outside insights can be incredibly valuable for improving your approach to content marketing. Since we know you’re likely busy working, wrapping up 2017 and planning for 2018, we’re here to help. Recently we had the chance to sit down (or stand up?) for some great content conversations with some of today’s top marketers. Below you’ll find their top content lessons learned in 2017 as well as how you can apply these insights to your own content marketing approach. In a profession with so many moving parts and fast-paced changes, it can be easy to become risk averse. The problem is, if you don’t take risks to create great, more impactful content, your competition will, and your audience will follow. Content risks don’t have to mean completely changing your approach. It can be slight tweaks and tests along the way to improve performance and innovate. What are some small risks that you can begin taking today to improve your approach to content marketing? How can you work testing new content approaches into your routine? What can you learn from other marketers that are having success with innovation? It’s no secret that social networks and content on 3rd party websites are a great way to attract your audience. Ultimately though, these approaches should be used as a means to draw people to owned content on your website. Social algorithms change constantly and you’ll find that if you put the majority of your efforts into building relationships on those platforms, you can lose that audience faster than you gained it. Which platforms are currently the biggest drivers of audience members to your owned content? How can social networks and other credible websites become part of your strategy for driving visitors to your website? As more and more brands become publishers, that means that a huge influx of content has been hitting the search results and inboxes of your target customers. Unfortunately, a lot of what is out there is not at the level of quality that it needs to be to provide value. That means, customers are becoming overwhelmed by crappy content and are in dire need of quality content created for them by marketers who understand their top needs. What would it take to create high-quality content on a consistent basis? Should content quantity be reduced in order to focus on impact? Can your team truly identify the difference between low and high-quality content? All too often, content distribution and amplification are either ignored, or treated as an afterthought when creating content. At the end of the day, we are marketers that are responsible for the performance of the content that we creates which means giving distribution the time and attention it deserves. Are you creating content for content’s sake or is your content tied to business objectives? How can you give content distribution and amplification the same attention as creation? Are you documenting which forms of content distribution are effective? And which ones aren’t? It doesn’t matter if you create content for a B2C or B2B audience, the key is connecting with people. When marketers focus on creating product, solutions or services based content, they’re ignoring the true needs of their audience. Buying audiences don’t care about marketing buzzwords, they want to know what problems you can help them solve. This requires creating a true connection and providing honest and helpful content based on what their top needs are. Is our content focused on the message we want to send or the true needs of our customers? How much do we actually know about what our target audience wants and needs? You wouldn’t hire a plumber to do your drywall or a professor to act as an electrician. The same can be said for your marketing team. While there are some marketers that can fulfill multiple roles, now more than ever it’s critical to work with a dedicated content marketing staff. That can mean hiring full-time resources in-house and/or partnering with an agency that has expertise in your industry. Who in my organization is truly responsible for content? Are we setting content teams up for success? 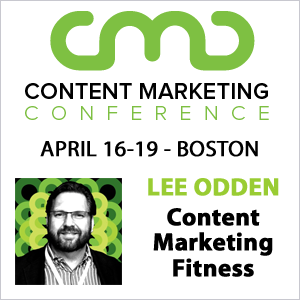 Do we need outside help to scale our content marketing program? While we are seeing a 1-2% increase each year in marketers who have a documented content strategy, we are still nowhere near to 50%. Your content strategy should be your guide for all content you create and serve as an anchor point if your team ever starts to get off track. Without a documented strategy, it is MUCH more difficult to meet business objectives and make a case for content’s place within your organization. What Content Lesson Did You Learn in 2017? If we are going to move forward and improve content in 2018, it’s essential to reflect on what we’ve learned in 2017. Some lessons are easy and others are plagued with difficulty. As you reflect on the past year, think about your biggest content lesson learned. Feel free to share in the comments below! Excellent advice in this post. I would add the importance of consistent production of fresh content. Too many companies create content in batches, when a steady stream would be much more effective. I loved the post! The video was especially engaging. I agree that in order to make a bigger impact, you need to focus on the quality of the content you’re publishing. It does matter about the frequency that you publish your content, but it your content is crap, no one will want to read it anyway. Thanks for this, Ashley. Feeling brain-scrambled doing content for several organizations, this helped me regain my footing going into 2018. I appreciated the clear nuggets of applicable insight, from folks I have confidence in. All those I serve will be grateful for your help. Great job!